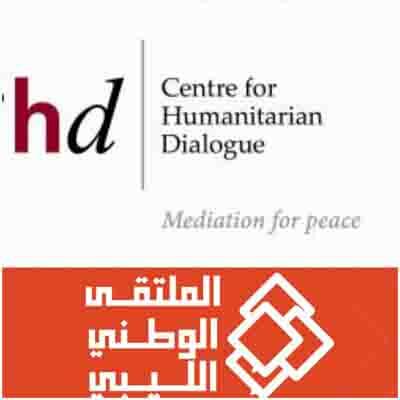 The consultative phase of the Libyan National Conference came to an end last Wednesday 11 July, the Geneva-based Centre for Humanitarian Dialogue (HD) had announced. The process was part of Ghassan Salame’s Libya Acion Plan. Presenting his latest report on the situation in Libya to the UN Security Council yesterday, Salame said of the National Conference ‘‘We have concluded the consultative phase of the National Conference Process. Over the last 14 weeks, we have held, thanks to our dedicated partner, the Centre for Humanitarian Dialogue, more than seventy-five meetings in Libya and abroad. Over 7,000 Libyans participated, a quarter of whom were women. 2,000 submissions were received online. 130,000 followers have joined the consultative process on social media, generating half a million comments. Digital messaging reached over 1.800.000 persons. Furthermore, the proceedings have been covered in great detail on Libyan media. This bottom-up process’’, he added ‘‘ is an integral part of the Action Plan. It puts the Libyan people at the heart of the political process, whoever or wherever they may be. For many communities, this was the first time they had been actively engaged in the political process and consulted on the future of their nation. Specific events were held for women, internally displaced persons and youth, while others targeted far-flung communities in the South, abroad, and constituencies previously excluded. The National Conference local consultations have provided a tremendous insight into the hopes, fears and visions of the Libyan people for a way forwards. The next phase of the National Conference is the distillation of the thousands of pages of reports into a full and final report with national conclusions and recommendations, to support the next steps out of transition. The date and the venue of the final event will be determined soon’’, he concluded on the topic.